With its central location, Harbour View Hotel is within easy reach of most tourist attractions and business addresses in Haiphong. All 122 rooms at The Harbour View Hotel have all the modern facilities guests' would expect from a hotel of this class. The guestrooms are equipped with hair dryer, non smoking rooms, television, in room safe. This Haiphong accommodation features on-site facilities such as shops, restaurant, meeting facilities, 24hr room service. The Harbour View Hotel offers outdoor pool, spa to provide extra pleasure and relaxation for all guests. 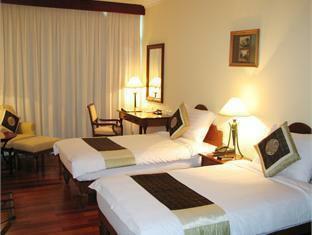 These top-class facilities are complemented to excellent services to meet the needs of visitors to Haiphong. To make a reservation at the Harbour View Hotel Haiphong with our secure online reservation form, please choose your preffered period of stay.